This Film – the sequel to Twilight is based on the books by Stephanie Meyer. It’s alright but it isn’t as good as the first one. It lacks detail and is just very straight forward from scene to scene. Chris Weitz was the director replacing Catherine Hardwicke who directed Twilight. I think the second book twines more with first book as should the movies. 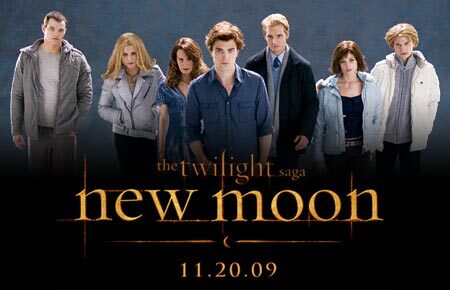 The film New Moon doesn’t follow on from the film Twilight and it ruins the storyline. Even though the second film has less meat ,from the Break-ups to the de-shirting it will make you laugh and will certainly make you cry. But all in all the second bite is dry.